Paul Verhoeven’s “Hollow Man” is a technical achievement that is hard to resist, greatly heaped with wondrous images of striking detail and accuracy that—pardon the repetition of phrase—only special effects can master. But it is a movie, alas, littered by all the negative attire of a traditional summer blockbuster; unstable characters, weak reasoning, an incoherent plot, and sometimes, even general stupidity. It’s in the same vein as last summer’s “The Sixth Sense,” I guess; while the efforts showcased by these filmmakers are admirable, the hordes of conflicting energy drain the thrill of simply watching the visual style unfold on itself. In ways, the product is also reminiscent of “The Haunting,” another film with brilliant texture and dreary substance. Neither of these summer flicks are special when you get right down to the foundation, yes, but at least with the latter, the visuals were given a chance to mount on themselves and generate their own intricate atmosphere (some will remember that I recommended the movie based strictly on those grounds). 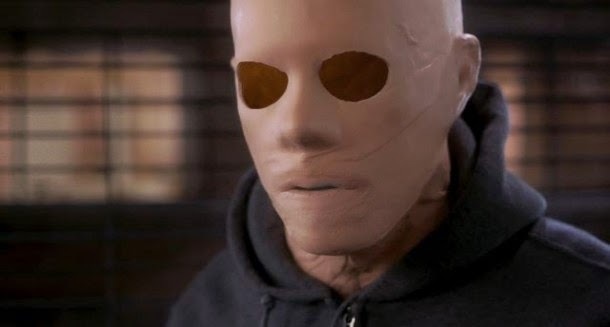 “Hollow Man” lacks that opportunity; its story and characters get more attention than the spectacular visual shots, molding the final product into a display of wasted potential and floundered exercise. Kevin Bacon stars as Dr. Sebastian Cane, the man in question, who has invented a serum that causes “reversion” in living organisms—that is, invisibility—for the Pentagon to use as a primary defense. He and his team of medical researchers happily test the formula out on lab animals (in the first scene, a rat is killed by an unseen force), but like all scientists with these kinds of discoveries in the movies, Caine sees himself as the ultimate guinea pig, asking his associates to send him into this plane of transparency, and without the permission from those in charge of the experiments. An antidote to the transformation has been invented, but as Caine learns a bit too late, it doesn’t work on humans. Not that it really matters, though, as the wise doctor grows comfortable with this alteration to his physical existence, using it as an excuse to scare friends, eavesdrop on people and seek revenge amongst those whom he feels have crossed him (like his ex-girlfriend, for one). Unfortunately, such actions drive Caine so wild that he plots to kill his entire crew. Logic like this is the reason why none of the characters deserve a shred of respect from the viewer. In general, the ensemble cast surrounding Sebastian is made up of spineless maggots, who move around on screen with such paranoia and stupidity that they could easily be compared to the victims of any teen slasher flick. Bacon’s character, likewise, exhibits the kind of characteristics that could make him the ideal killer behind the mask: pointless vendettas, thirst for gratuitous (and often cheesy) bloodshed, fragmented logic and moronic persistence (who cares if his ex-girlfriend is involved with a fellow scientist?). But those conflicts barely scratch the surface here. The major problem with the story is that it doesn’t care about providing the audience with a legitimate explanation on this groundbreaking formula: what is involved, how it is applied, what the effects are, and most importantly, how it is at all possible. I am reminded for a moment of Jurassic Park,” the Steven Spielberg epic which provided great insight on how a team of scientists were able to revive the ferocious creatures that walked the Earth millions of years before mankind. If movies have the capacity to make breakthroughs in medicine, science or even technology, isn’t it at least necessary of them to provide some kind of explanation leading up to the discovery, even if it’s far-fetched? Verhoeven is a rather eccentric director, I think, who seems to adopt each new premise without any forethought in mind to his past efforts. Notice how “Hollow Man” shares a thin line of similarity to something like “Starship Troopers” or “Total Recall”—the brilliant style is echoed, but the narrative idiocy prevents it from ever attaining a shine. He just can’t seem to get past this annoying blend of visual brilliance and narrative incoherence. This is distracting, to an extent, because the man hasn’t really done one solid movie to speak of in terms of raw essence; instead of consistently jumping from genre to genre, maybe he should remain anchored on one, if only until he is able to match his distinctive style with a script that can make use of his visuals (not to mention some common sense). No one likes a director, after all, who would rather push his mistakes off to the side instead of learn from them.